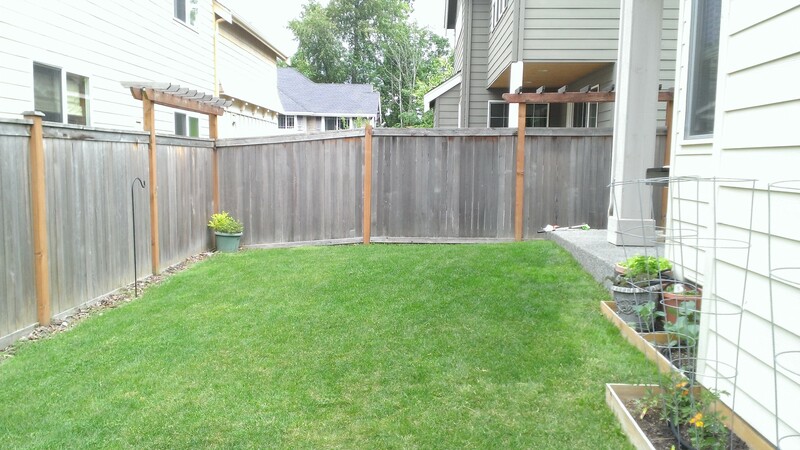 A long rectangular lawn in a small backyard is great when kids are little. 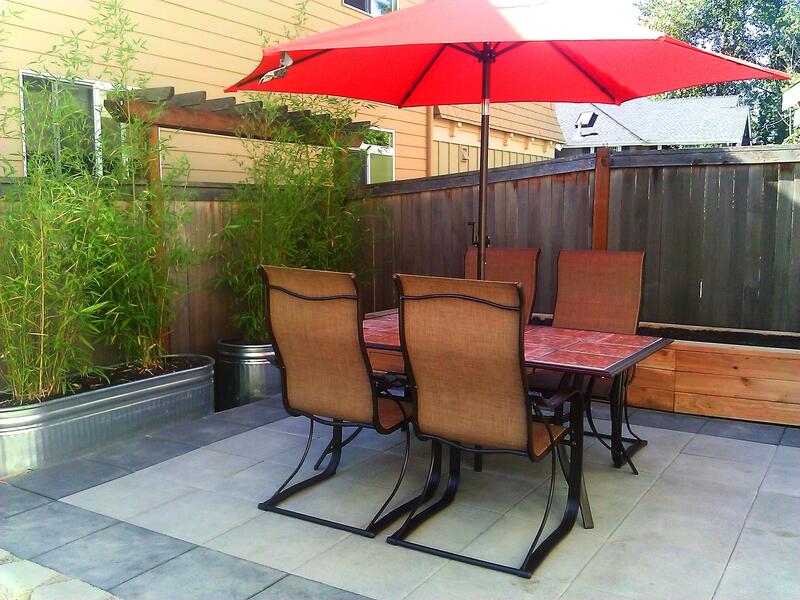 But as they grow, the usage of outdoor space changes. 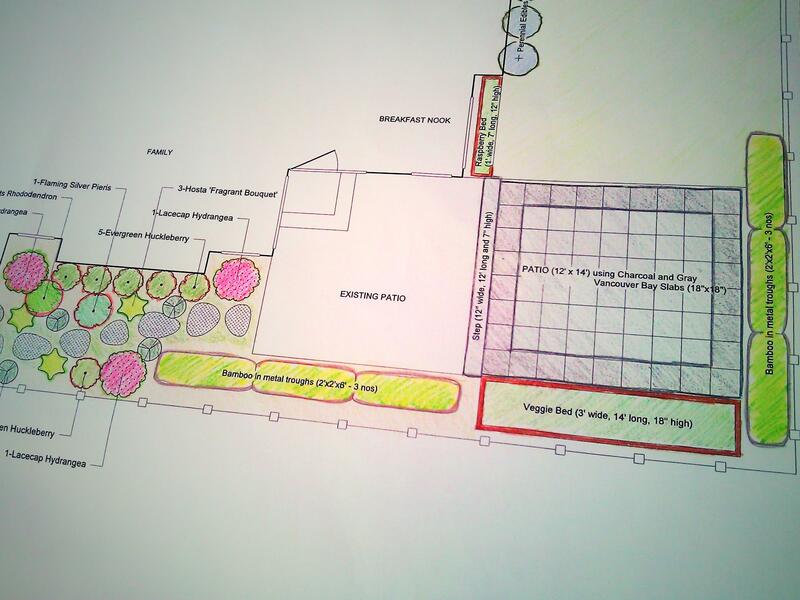 The design goals of this project includes an outdoor dinning area, space to grow edibles, privacy from neighbors and curb appeal in the tiny cul-de-sac. We designed a step-down patio that further stepped down into the lawn to create a feeling of different zones in the small outdoor space. 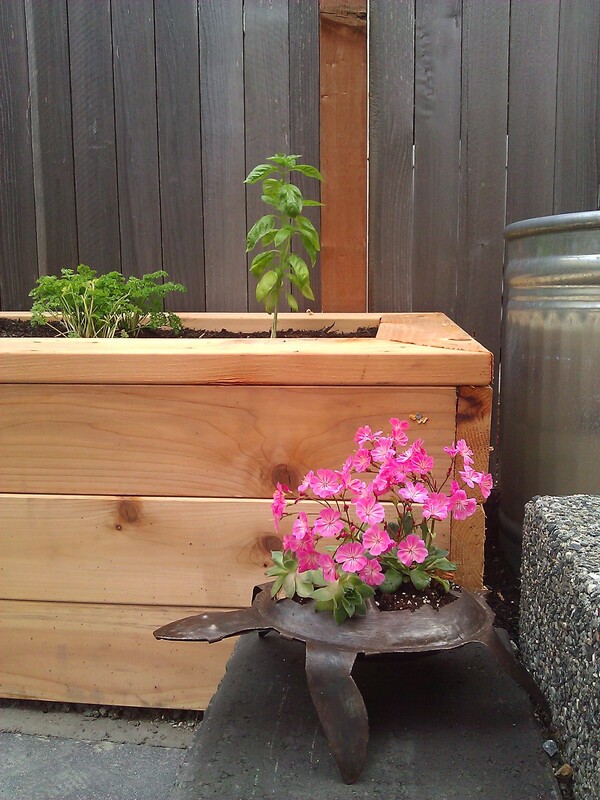 The raised veggie bed is planted with herbs and seasonal veggies. 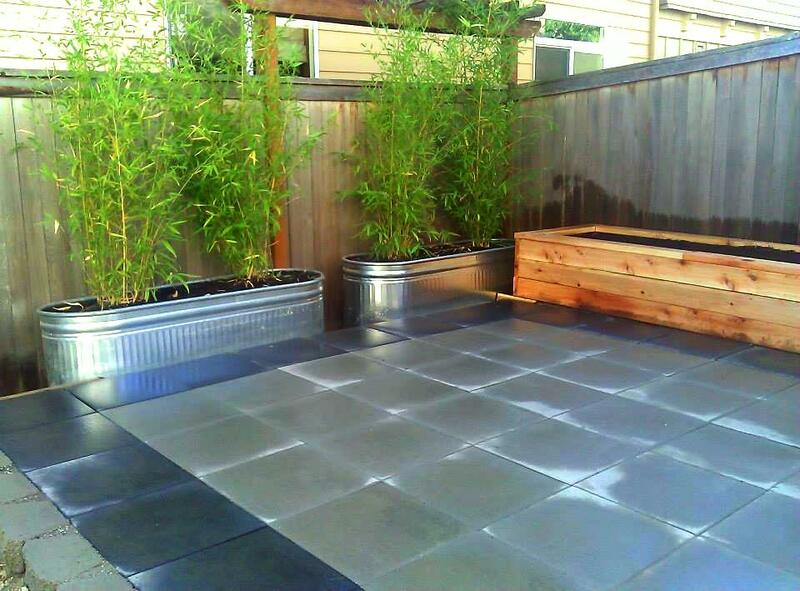 Bamboo in galvanized metal troughs provides a privacy screen from the neighbors. Different elements at varying heights adds a lot of visual interest. 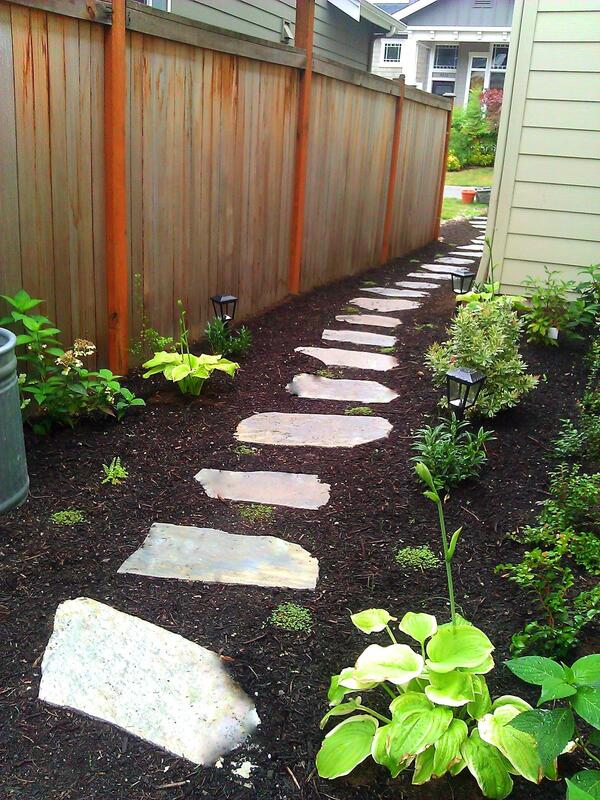 A flagstone path, edged with part-shade loving plants, connects the backyard to the front yard. 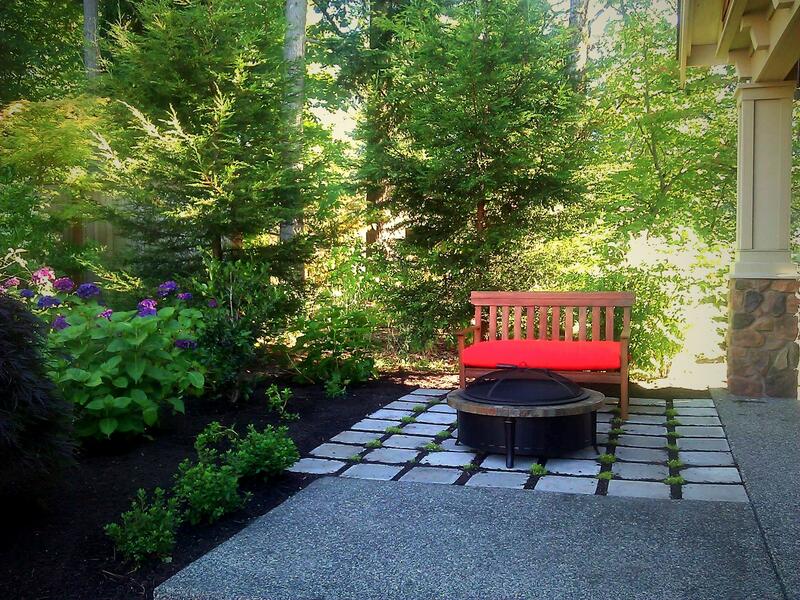 A small seating area in the front yard with an inviting feel is the perfect space to ‘sip-and-chat’ with the neighbors as the kids play in the cul-de-sac. We enjoyed designing and collaborating with the client to bring on this delightful transformation. 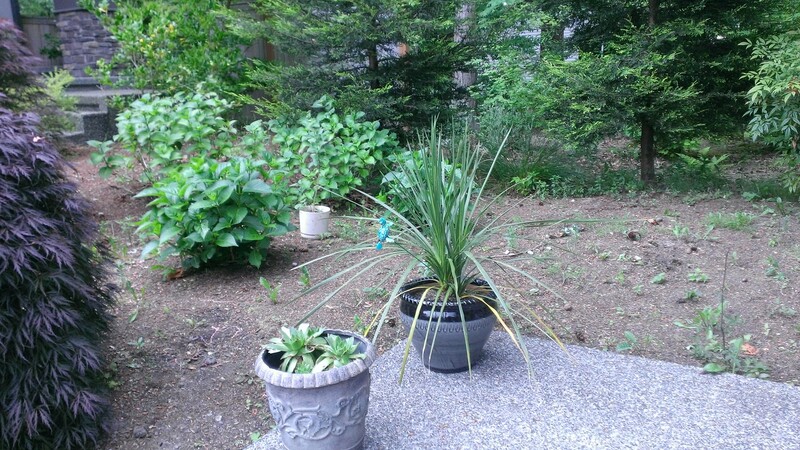 “Lara was a pleasure to work with throughout the entire process of landscaping and hardscaping our yard. 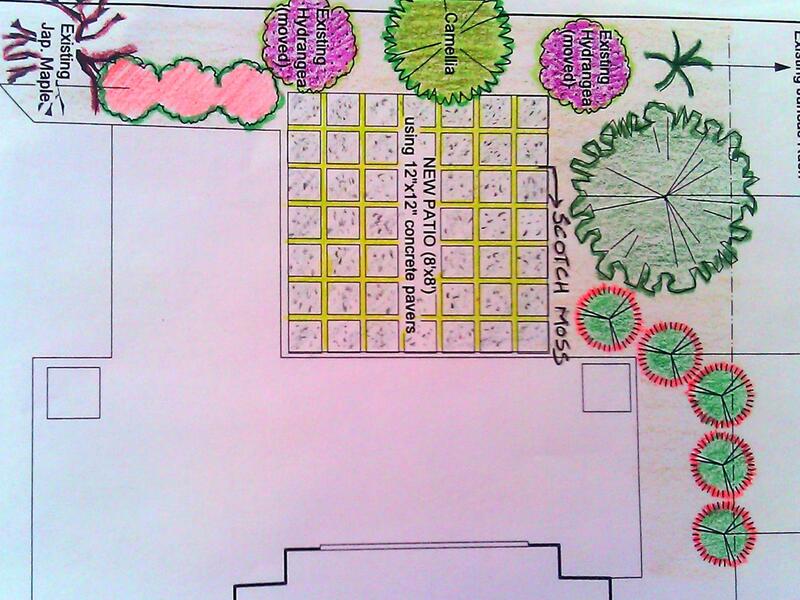 I was very impressed with her ideas and creative solutions to our ‘problem’ areas.